A British woman who decided to become an author after the terror attacks of 11 September has been shortlisted for the Orange Award for New Writers. 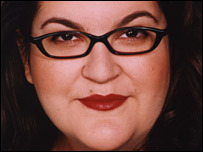 London-born Naomi Alderman left her marketing job at a law firm in New York to take a writing course before finishing her debut novel in a library. Her book Disobedience, set within north-west London's Orthodox Jewish community, is in line for the prize. 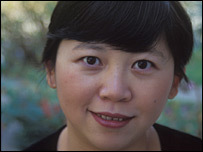 The other nominees are Moscow-born Olga Grushin and Chinese author Yiyun Li. Grushin, who now lives in the US, is recognised for The Dream Life Of Sukhanov. The novel tells the story of a high-ranking Soviet official who is uneasy about choosing a safe and comfortable career instead of his real calling as an underground artist. Li's work A Thousand Years of Good Prayers is a collection of 10 short stories based in China and among Chinese Americans in the US. She was raised in Beijing but after a decade of living in the US she was recently refused permanent residency in the country, despite letters of support from novelist Salman Rushdie. The Orange Award for New Writers, an off-shoot of the Orange Prize for Fiction, can be presented to any first work of fiction published in the UK and written in English by a female author. "It is a fantastically strong year and the three we have chosen are all award-winning books on any level, never mind the fact that they happen to be by first-timers," said author Louise Doughty, who chairs the judging panel. She added the nominees were "two exceptional novels and one wonderful collection of short stories" and said the judges "wholeheartedly recommend them all". 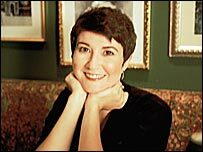 In 2005, Diana Evans received the award in its inaugural year for her debut novel, 26A. This year's winner will be announced in London on 6 June.